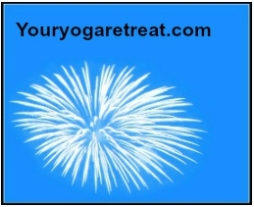 All the retreats listed here are PURE and Authentic Ashtanga Yoga retreats. It's not just a little bit of Ashtanga thrown in at the last minute and mixed up with Vinyasa or another type- nope! These retreats, my friends, are the real deal. Ashtanga yoga will change your life.... Especially classes that are authentic and traditional keeping with all the aspects that make up Ashtanga. If you're looking for something beyond the physically demanding asana practice, many of these listed yoga retreats will offer it. However if you're not ready to dive a little deeper into the spiritual side of Ashtanga and would like to scratch the surface with the asana practice, that is available too. 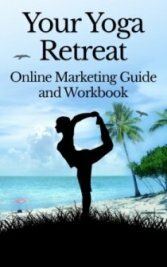 One major difference you will experience between Ashtanga yoga retreats and the rest is this: the accommodations seem to be simpler and less luxurious. And the lower scale accommodations are completely on purpose. In Ashtanga yoga simplicity is a key factor. Keeping your environment simple and uncomplicated enables your mind to focus properly on the job at hand. Every complication is an obstacle to enlightenment. For a beginner ashtanga yogi mind, it's helpful to keep it clear and uncluttered. The retreats listed here have a variety of options available and I start with these Yoga retreats in Thailand with Traditional Ashtanga Yoga Shala Phuket, because it's highly recommended for those wishing to really dive deep into every aspect of Ashtanga yoga. Simple accommodations and a thorough immersion into Ashtanga Yoga. 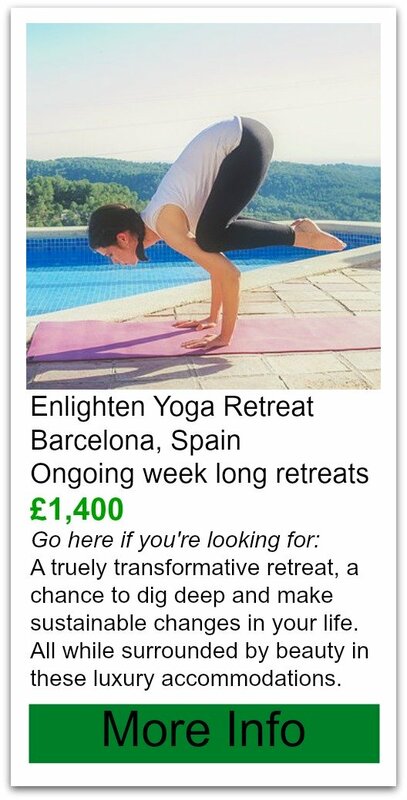 This is my dream Ashtanga Yoga retreat? How about you? 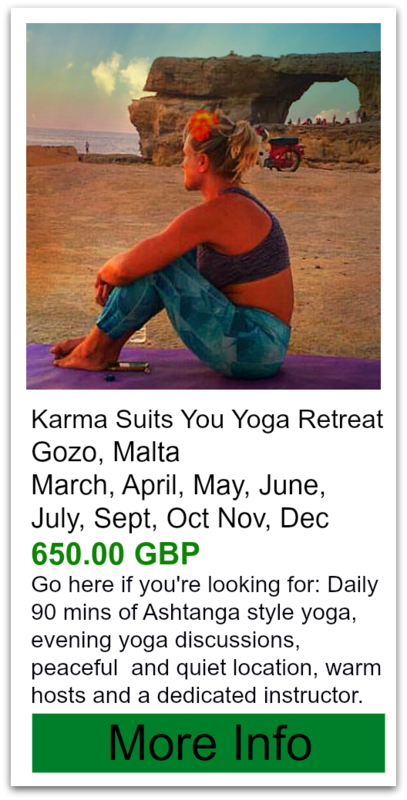 Go here if you're looking for: A chance to practice with Kristina Karitinou a very highly respected ashtangi. Go here if you're looking for: The only place in the world able to grant Ashtanga Yoga teaching certificates. Go here if you're looking for: A simple yoga retreat with a strong focus on the yoga instead all the fluff but there is still comfort!